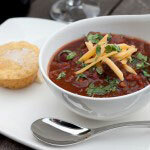 As much as I love a good stout during the winter months, there is nothing better than a good bowl of chili. 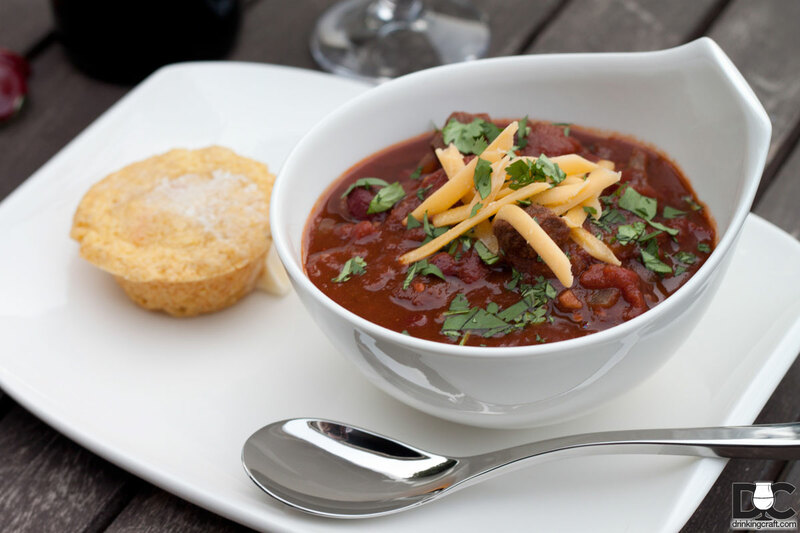 Chili is one of those comforting foods that warms the body and soul. It’s great on a cold night and even better for left overs during the week. 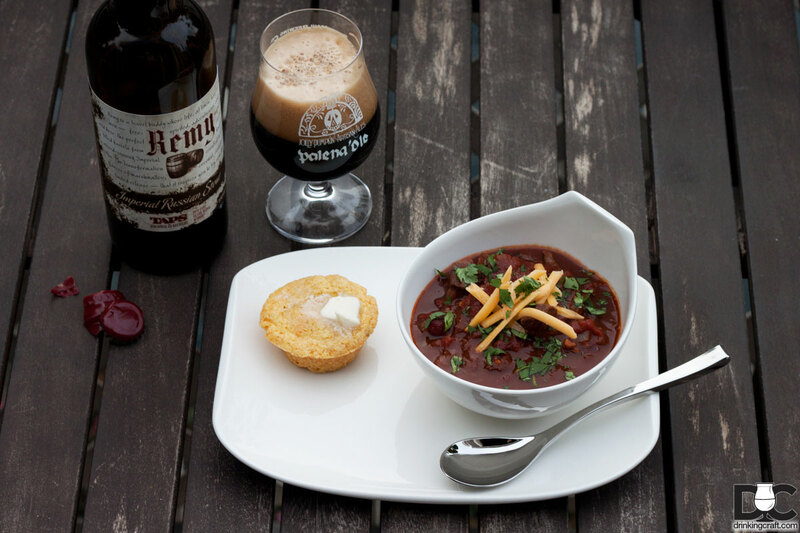 Chipotle Stout Chili combines the best parts of winter; stout season and chili. I suggest a stout you really enjoy. 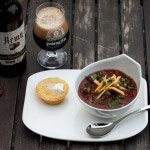 In Chipotle Stout Chili I used Bootlegger’s Brewery Black Phoenix Chipotle Coffee Stout. This chipotle coffee stout blends perfect with the spices packed in this recipe. The first thing I like to do before I start prepping is take the steak out of the refrigerator and season with salt and pepper and set aside. 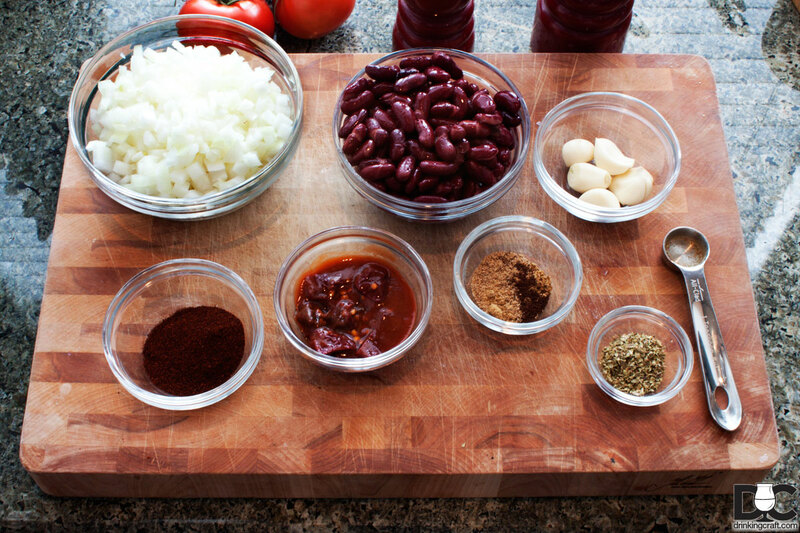 Proceed with portioning out the rest of the ingredients. 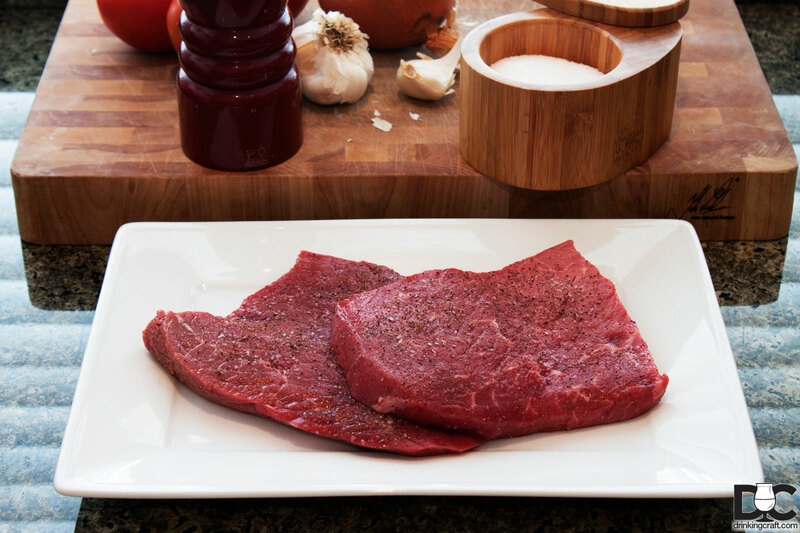 Return to the steak and cut the beef top round steak into 1/2 inch cubes. 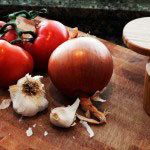 Heat some olive oil in large stock pot or dutch oven over medium high heat. When the pan is hot add the onions and garlic. Sweat the onions down for a few minutes until they turn iridescent and fragrant, stirring occasionally. Add the seasoned cubed steak, stirring occasionally for a couple of minutes until lightly browned. Now add in all the spices. Oregano, cumin, coriander, cloves, chipotle powder. Add in salt and pepper to taste and stir until fragrant for another minute. 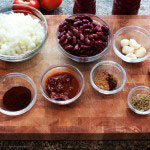 Add in the chopped chipotle chilis, chipotle adobo sauce, and tomato paste stirring until the tomato paste is blended. 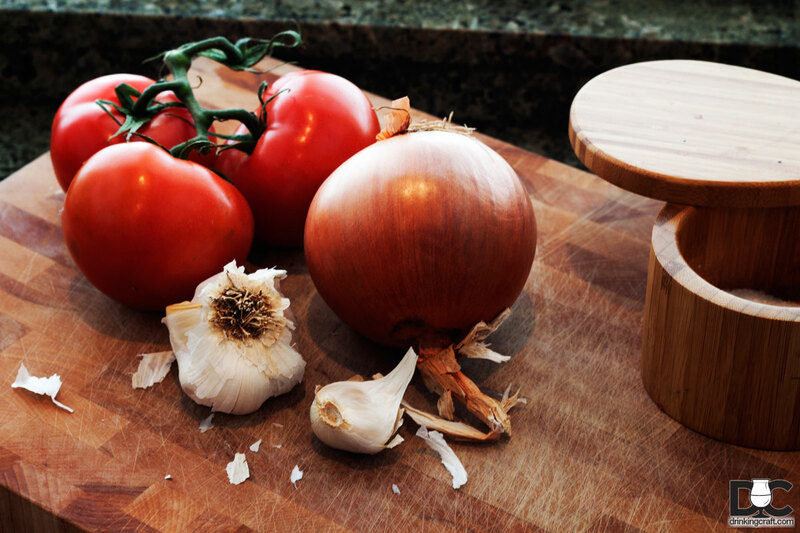 Grab the large can of tomatoes and crush the tomatoes with your hand. Pour the entire can with the juice into the pot. Add the beans and finish with 22oz of your favorite stout. Bring the chili to and boil and then reduce the heat to a light simmer. Simmer the chili until reduced to your desired thickness, about 30-45 minutes. Note: This chili is a little spicy from the chipotle’s. Adjust the amount of chipotle chilis and/or adobo sauce accordingly.